Matthew Lipman. 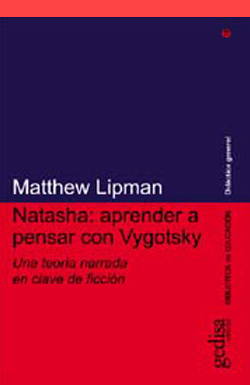 Natasha: aprender a pensar con Vygotsky: una teoría narrada en clave de ficción. Barcelona: Gedisa, 2004, 192 pages. Translated by Marta Pino Moreno. ISBN: 84-9784-010-0. Spanish translation of the original title: Matthew Lipman. Natasha: Vygotskian Dialogues. New York: Teachers College Press, 1996.Published in Spanish by Gedisa.